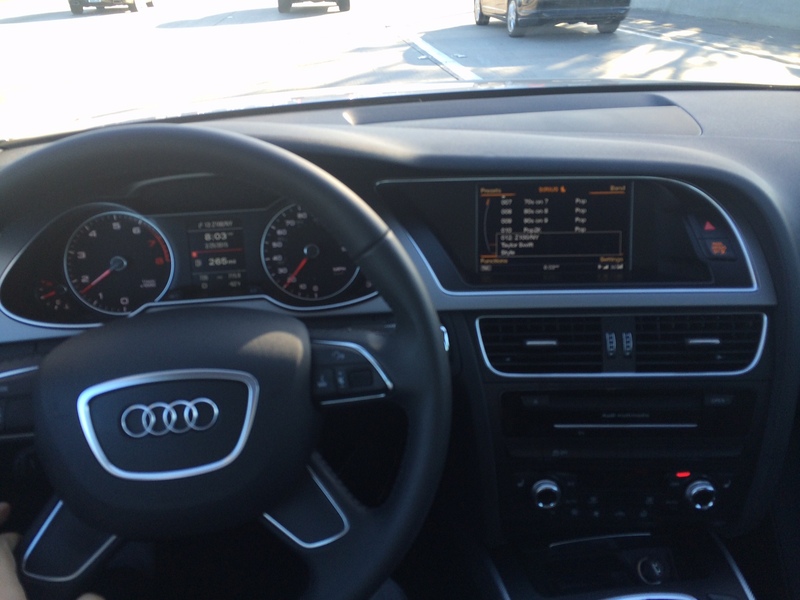 After seeing some posts on DDF about Silvercar, I decided to give them a try on my recent trip to Los Angeles. The service is more personal (and reliable) - see details in my report. Each car comes equipped with GPS, SiriusXM, Wi-fi, Bluetooth, & Toll Pass. They also offer a great gas service, for only a $5 surcharge, they refill your car for market rate - no inflated prices or pre-paid BS. On February 3rd I made a reservation to pick-up on the 24th am and drop-off 25th pm. They were running a special $59 per day (instead of $79) plus $50 off first rental of 2 days or more (Promo Code: AFF-FTD). I received an e-mail on February 23rd - 24 hours prior to my reservation - that my res. was cancelled. It turned out that you have to complete an online registration to complete the res., which I was unaware of. Because of the scan and drive service (below), you have to register your license, credit card & insurance prior to your first rental. After some tweets and messages, I got everything settled and reservation re-instated. Upon arriving at LAX (previously downloaded the Silvercar app), I opened my app for detailed instruction. At LAX, I got on the "Lot C" bus, once on the bus, I pressed the "pick me up" button which then prompted to either call or text them that I arrived - I opted for text. They respond for my location and told me where to meet them (the app says as well). I got off the bus at the first stop which is the "cellphone waiting lot". Immediately I spotted the silver Audi waiting with a Silvercar rep.
Diana - the silver car rep - verified my license and credit card, I QR scanned the car and was ready to go in under 2 minutes. She asked if I needed any car instructions which I declined, and I was on my way. The car was perfect: clean, car instructions included (which buttons do what) and all ready to roll. When it is time for returning, I tapped the app and pressed "map it", (or you can use the favorites in the car GPS to direct you to the drop location at the airport). Upon arriving at the drop location, a rep - Socrates - met me and drove me in the same car to the terminal. 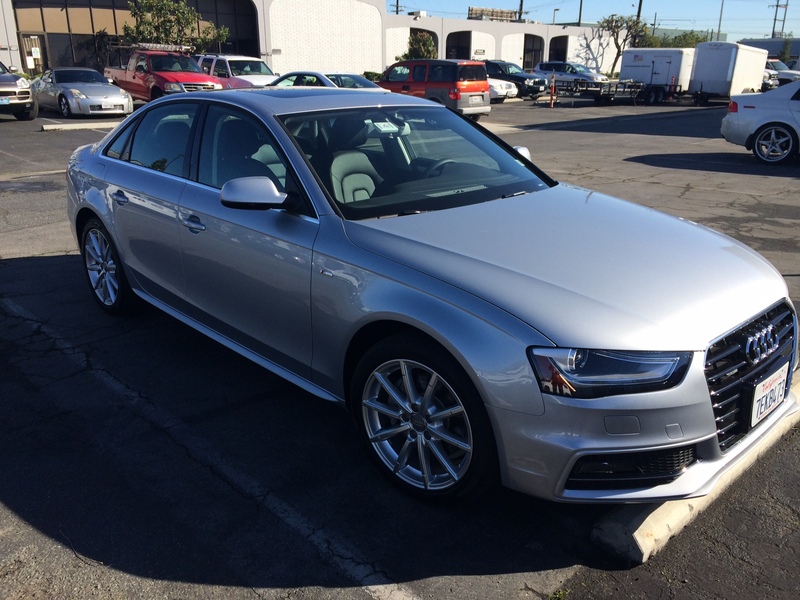 We chatted about Silvercar service (they have 150 cars at LAX expanding to 250). I opted not to fill the tank prior to dropping off and instead went for their "hassle-free" policy. @ $79 a day, not sure I would use it personally, but for work, I get reimbursed, so I will use it again. for a 2 day rental it comes out to a great price considering the type of car, and their service. Shame they are in so few cities.. According to an Employee - they will be doing major expansion in the coming months. First they are increasing current location inventory to maximize revenue per location. How is the trunk space in the A4? Compared to say a Corolla or Camry? IME (leased for 3 years), adequate space. cannot specifically compare to corolla or camry though..
You think I would be able to do that in an A4? Used them. Was awesome and will use them again wherever they're available. $50 off a two day rental with code FTU50. Used them as well and blew my expectations. I did not properly enter a coupon during reservation, they had no problem reimbursing over the phone, even though they had every right to decline. The agent was knowledgeable and there to help. They are running a special of $39 a day in MIA and PHX till end of may, no coupon needed. would this work twice if I rent 2 days of trip and then my wife rents 2 days? Also, I was told age req is 22 yrs old, is that true? Yup recently announced, and no underage fees for 22-24!